Kawartha Dog Sitter Blog: Kawartha Dog Sitter Blog Sends All Our Fido Competitors Special Shouts! 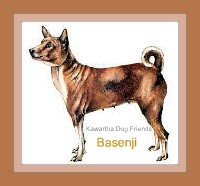 Kawartha Dog Sitter Blog Sends All Our Fido Competitors Special Shouts! Kawartha Dog Sitter Blog Fido Competitors Fan List Updated! Update: Lessons Learned through Fido Casting Call Competition - Post in progress. Kawartha Dog Sitter Blog presents their Fido Casting Call Competition Fan list. To make it easier to find all our fans who are entered in the Fido Casting Call Competition,we will be updating this list each evening. We were trying to figure out how to make the order of this list fair –should it be: Alphabetical? According to rank in the Fido Competition? By length of time they were fans? Then I was scratching Sunny’s tummy, and it came to me- you scratch our tummy, and we’ll scratch yours. Get your name on this list and have your Fan activity updated by commenting on: Inviting Fido Casting Call Contestants Get Your Free Shouts! Help us know about your fan activities! Be sure to include your dog link in the comment when you tell us about your fan activities. If there is a tie between two Fans, the order will be determined by Random.org. This list will be updated each evening before we retire. Here is the list of Kawartha Dog Sitter Blog Fans entered in Fido Casting Call Competition according to their fan activity. 1 Ballot Vote for Bentley in the Fido Casting CallTM Owner Karen Daniels,a Facebook Fan says:“Bentley is an adorable 5 1/2 month old apricot Cockapoo. He attracts people with his charm, friendliness and stuffed teddy bear look. He is smart, inquisitive and will make you smile. The perfect puppy to attract people of all ages to the Fido brand! We’d also like to send a shout out to Tucker’s , Niko’s and Tan Tan's 2 legged friends who took the time to visit our blog and comment on the Fido Contest post. Unfortunately, after checking to make sure all our entrants were fans, we could not find them in our fan database, so they were not eligible. 4. Hmmm I wonder why? They don't want shout outs? Nope that can't be it either Hmm What to do?